This soup is known as Miyan Kubewa in Hausa. Do you want to prepare this soup for your kids? Then visit the Kiddies Okra Soup page. It is a simpler version of this recipe and kids simply love it! 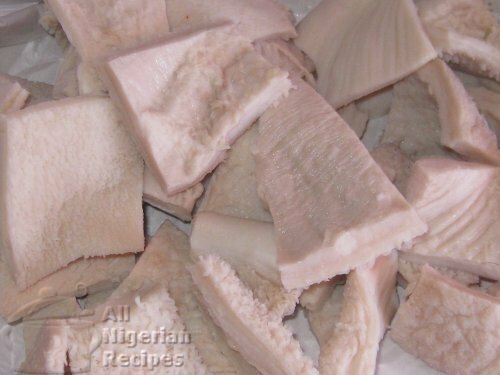 About two hours before preparing the soup, boil the stockfish for 20 minutes and leave in the pot with the hot water to soak. There's a type of stockfish that I buy in Nigeria that does not need all that soaking. Wash the pumpkin leaves, if it is your choice of vegetable, and cut into tiny pieces. 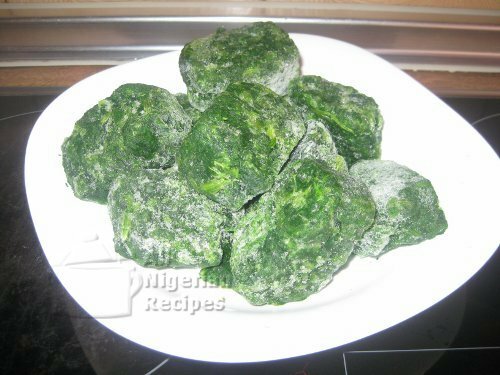 If you will use frozen spinach, defrost and cut into tiny pieces. 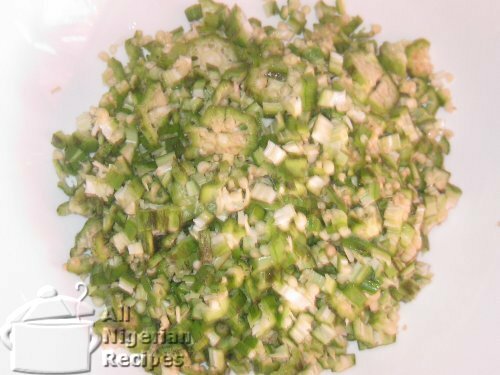 Notes: Shaki, Meat, Dry Fish, Iced Fish (Mackerel/Titus) and Stock Fish must not all be used at the same time in preparing the okra soup recipe. If you can, by all means use all as they will add to the flavour. 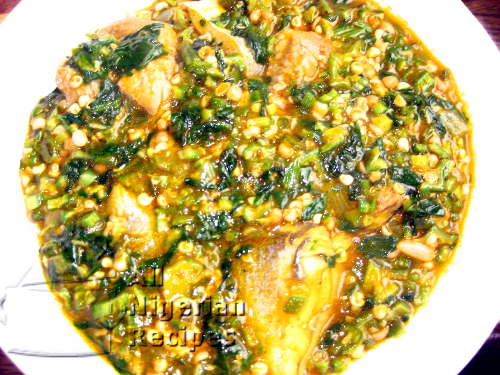 But if not, an okra soup prepared with only iced fish ((Mackerel/Titus) can equally taste good. So don't go and break the bank because of a pot of soup! Onions is optional because while some people cannot bear the smell/taste of onions in okra soup, others are like "Okra soup without onions? No Way!"